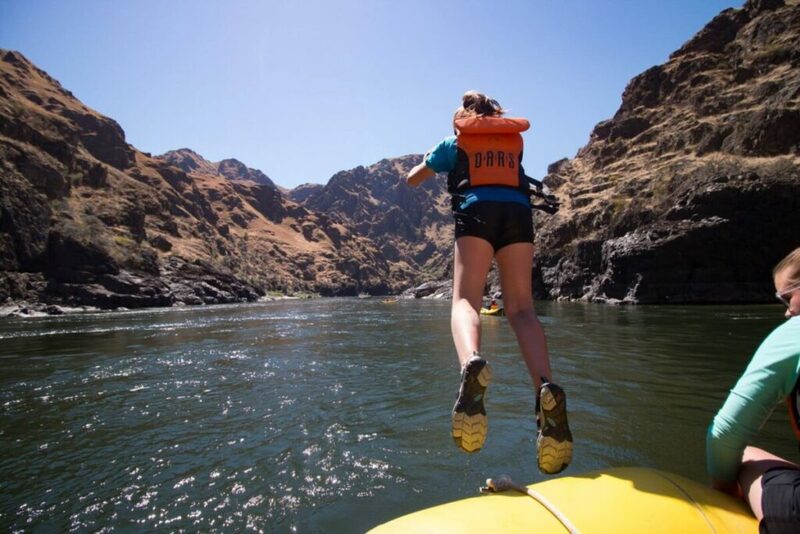 She Guides is a regular column that shines a spotlight on female trailblazers in the travel, adventure and exploration space. It is an opportunity to share their life stories, work and goals as well as the priceless advice they have for the sisterhood of adventurous women. When you first meet Shanti O’Connor, it is hard to believe that she has ever been anything but a trusted guide to a large tribe of women. She appears calm and focused, serious but kind and eternally grounded. Picturing her as self-destructive or suicidal is nearly impossible, but O’Connor wasn’t always the brave leader and explorer that she is today. 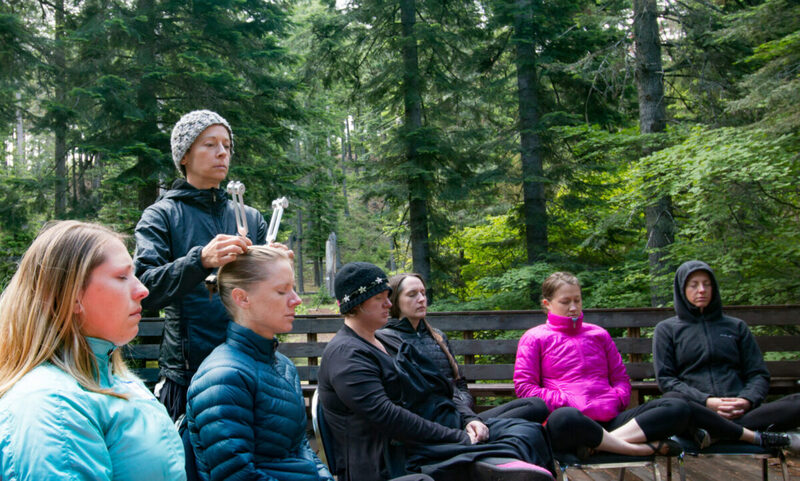 Today, O’Connor combines her skills as a counselor and energy healer with her passion for the wilderness and hosts transformational women’s retreats near the crest of the Cascade Range in Central Oregon. The path she traveled to get where she is today wasn’t easy, but it is the reason she is so skilled at what she does. Our interview reveals how O’Connor turned hardship into success, and how she uses her own success story to help change the lives of other women. Read on for the full story below. SEL: Briefly summarize your current work/offerings? 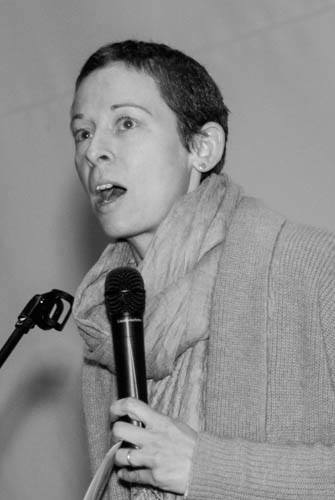 Shanti O’Connor: I see myself as part teacher, counselor, student, guide, advocate and most recently, a host of a radio show called Voices from the Margins. I own and run a holistic healing center in downtown Bend, Oregon called The Hive; a non-profit called Bend Birth Connection; and my personal work—including the Sacred Mother Retreats— is under Rooted&Open. The majority of my offerings are designed for women—specifically moms in some cases—who are ready to heal and find themselves. I help them do this by facilitating women’s groups, offering one on one healing sessions, and teaching classes. I also run ceremonies and put on storytelling events and retreats. SEL: Tell me about the Sacred Mothers Retreats and the Awaken Retreat. What can attendees expect to experience over the weekend? Shanti O’Connor: Sacred Mothers Retreat is a magical weekend. Moms spend time in nature hiking and swimming, they get the opportunity to practice yoga at least once a day, there’s guided meditation, daily circle time, explorations through art and writing and three to four hours reserved for working with various holistic alternative practitioners. Additionally, we make sure there is ample time to relax and we have a professional whole foods chef who makes yummy home-cooked meals. By the end of the retreat, many of the women have created authentic bonds with each other. 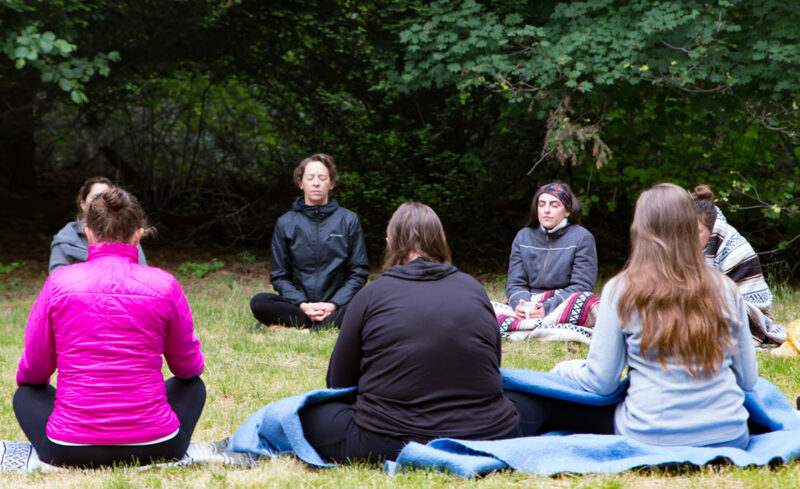 All the activities offered at the retreat are meant to help women unwind from the demands of life, let go of layers of stress and reclaim parts of their self that have been hidden for some time. The Awaken Retreat is similar, but with a little more down time. Awaken Retreat allows for time away from the hustle and bustle of life. It provides much needed time to relax, breathe, and just be; time to connect with nature, with other women, and with your true self. Now is the time for women to be heard, acknowledged, and supported within a sacred circle of women. It is a safe and powerful container for connecting with the powerful wild woman within yourself which is a vessel to the wisdom of your spirit. SEL: So many retreats are held in “luxury-locations”. SMR has gone a different route. Tell me a little bit about the location and why you chose it. Shanti O’Connor: The Sacred Mother’s Retreat is held at the Methodist Camp at Suttle Lake, which is run by a sweet family. I immediately fell in love with everything about this retreat center. I love the simple and rustic feel of the accommodations. It reminds me of the traditional camp experience most 80’s kids grew up with. Personally, I prefer this over luxury. The simplicity of the space reminds me how powerful and healing simple can be. The beauty of nature gets to speak louder than the beauty of the stuff at the center. There is a rawness to the lodge that I believe invites the attendees to be raw, authentic and vulnerable. I love that there isn’t a whole lot in the lodge to distract people, and the lack of TV and Wi-Fi forces people to spend their time connecting with others. Also, I fell in love with the family who runs it. They are not only good and honest people, they are humble, simple and loving. I truly believe that the energy of those who take care of a place is just as important as the place itself. So, on many levels, it called to me. SEL: In many ways, you are a guide for women looking to explore their lives. Can you share why you think self-exploration is so important for women and why you were called to do this type of work for women specifically? Shanti O’Connor: I believe this is one of the greatest callings any person can undertake. Finding your true self and living from that place is life changing and at this time in history, necessary. We live in a time of so much pain, suffering and destruction. I truly believe that we need to wake up in order to stop destroying each other, our planet and ourselves. Awake people do not destroy their bodies, their loved ones, their communities or nature. I am drawn to do this work with women because women are still marginalized and oppressed. Most women haven’t fully claimed their power, and I am learning most do not know how to claim their power. This has to change. Women have to see all the ways they are disempowered and controlled. Women need to learn how powerful they are. When I speak of power, I am not speaking of the traditional kind that is likely to first come to mind: masculine power. I am referring to feminine power: the power of the soft, the loving, the intuitive, the creative and the intelligent. Feminine power encompasses so much that is traditionally seen as weak and less than, but in reality, it is powerful and needed now more than ever. What I know to be true of women—from my own personal experience is—when women are empowered and step into their full selves; families change, communities change and structures change. In other words history changes. I truly believe that women are the most powerful change-makers of our time. I want to get behind that and do my part in helping every woman who comes to me. SEL: Is there anything you would like to share about your own self-exploration and how it led you to where you are now? Shanti O’Connor: I came into self-exploration early in life, as a high school kid. Growing up, I was severely depressed, self-destructive, angry and desperately wanted to kill myself. All of this came about from being raised by a mentally ill, drug-addicted mother. I lived in chaos, fear and terror and it had a huge impact on the way I saw myself. I thought I was a bad person and that something was wrong with me, but then one day it occurred to me: I was not the problem, the environment was the problem. I didn’t know how to change my environment, so I decided I had to do the work to change myself. This started me down a long, 20-year road of healing. It took me longer than most because I was still in the chaos for 10 of the years. I wasn’t able to do the deep inner healing until my mother died. I think this is why I am so drawn to this work. I know what it means to feel lost, lonely and afraid. I also know what it means to do the deep and often times super painful work of healing. SEL: Tell me about your new project: the radio show. What it is about, what listeners can expect to hear and why you are doing it? Shanti O’Connor: Yes! My newest project! Our local community radio station, KPOV, contacted me with an offer to be a radio show host for a new show called Voices from the Margins. Essentially, it’s a feminist-themed radio show that gives voice to marginalized populations. Voices from the Margins starts in October and will air every Thursday at 1 p.m. I am one of 4 show hosts. Each host will have one Thursday a month where we host our own show on the theme we have chosen to explore. My show will focus on mothers who are making a change or making a choice that is counter-culture to what is expected of her. 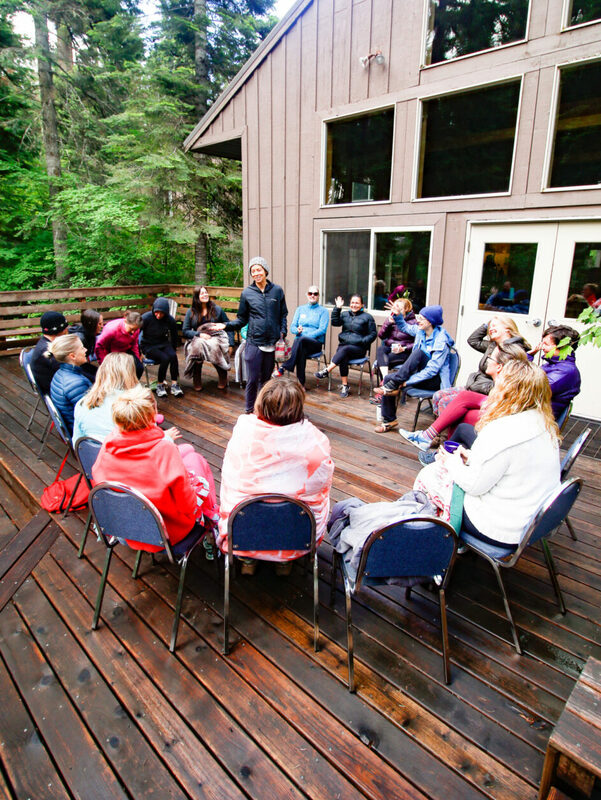 SEL: What does the future look like for your retreats? What can prospective attendees keep their eye out for? Shanti O’Connor: I have so many ideas brewing! I really want to do my Awaken retreat again. It is designed for spiritually seeking women. I plan to do a retreat for Fathers in Spring 2019, and I would love to do a retreat for bisexual women, a family retreat and I have a friend who really wants to do a yoga retreat. So many possibilities! SEL: Is there anything else you’d like to share with our readers? Shanti O’Connor: Whatever path you choose, choose from the heart. There are many options for self-exploration, some are shiny and flashy and on par with the latest trend, but do not embody the truth of what it is they are saying they can do. Other paths are simple and hard because they require you to do your own work. Don’t focus on the external of your longing, instead shift that focus inward. Listen to the subtle voice inside. Ask it, “What is it I am truly ready for?” Follow that feeling, that voice and it will never lead you astray. It might take you places you never imagined and some that might scare you, but you are always safe when you follow your own guidance and truth. Remember, coming back home to yourself is a journey that only the privileged are granted.